It has been the most busiest time in my life for the past one year. I was pregnant the second time and gave birth last December. Once again my pregnancy caused my hormones to go haywire and my skin condition was a disaster. Thank God, I was invited to experience a recently launched facial laser treatment from PPP Laser Clinic. The new laser treatment, 360 Solution combines the use of lasers and light technology under the capable hands of qualified doctors to achieve near perfect skin with focus on 3 Cs: Colour, Consistency, Contour. The 360 Solution comprises of 5 different treatments, targeting on various skin issues, rejuvenate and refresh the skin, to give radiance and glow to the skin. Perhaps many of us will need P+ Intensive Laser Treatment as it targets on skin clarity in the epidermis and upper dermis. If you have skin concerns like freckles, clogged pores, super oily skin, this treatment maybe effective on you. Fractional Laser is a non-invasive treatment that works by repairing underneath the skin to enhance tightness and elasticity. Laser beam is only delivered on targeting areas. Helps to remove superficial pigmentation, reduces pore size, lightening of acne scars, less visibility in wrinkles and fine lines. As what the treatment name is, Collagen Remodelling is about stimulating collagen growth. Skin elasticity and firmness will be improved. Say bye bye to saggy skin! So, after repairing the skin, it’s time to “feed” the skin! RF Skin Treatment promotes better oxygen supply to the skin, and when skin breathes better, wrinkles are minimized and skin’s firmness is well-maintained. And when the skin is repairs, well-fed with oxygen, it’s now about maintenance. Ion Infusion is all about infusing Hyaluronic Acid into the skin, giving the skin maximum hydration and at the sametime provides soothing to the skin. From what I know, skin gets dry after laser, so Ion Infusion is recommended at the final treatment. Hyaluronic Acid is nothing new these days. It is water booster to the skin, helps to plump up the skin’s firmness, and is able to calm the skin. I enjoyed the most during Ion Infusion because it’s a cooling process, made me felt good after all the scare before each treatment. There was minimal pain during the laser. I am someone with very low pain tolerance but managed to survive all 5 treatments. I went home and had my usual cleansing routine. My skin felt extremely smooth, the same as what it was felt like after those extraction facial! But this 360 Solution treatment only took me about 30 minutes and my skin achieved the same (Or rather better!) effect as those usual facial! I was given a mask sheet to apply after I got home. It’s PPP Skincare post-laser facial mask, helps to reduce water loss and expedite on skin rejuvenation. It’s soaked with Hyaluronic Acid, for a good skin water boost. The smoothness on my skin lasted for a few days before it went through a short downtime of mild peeling. This was normal. The peeling was not visible just by looking at the skin. I felt the peeling during cleansing. But I was not too much bothered by it, it’s not obvious anyway. I could still carry on with putting on makeup daily. I just had to cleanse my face using PPP Skincare cleansing wipes prior to my usual facial foam cleanser. PPP Laser Clinic’s 360 Solution Taster Pack is now available at all PPP Laser Clinic outlets at S$360. This taster pack includes all the 5 treatments in one session. Been extremely busy lately ever since Hazel goes to childcare. I have to spend quality time with her every evening. My personal time only comes after she’s asleep. 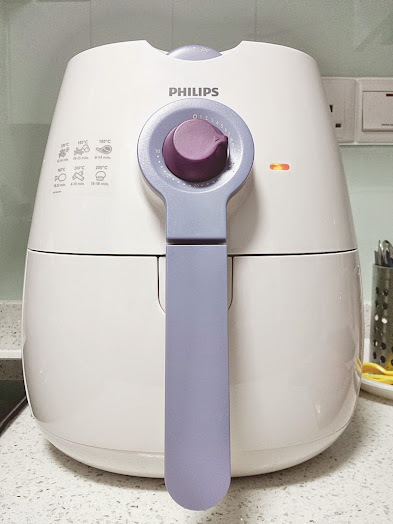 One evening when Hazel was asleep, I decided to try using this Philips Airfryer from the HumSupGroup girls who have bought for me as a housewarming gift, despite I didn’t hold any housewarming party for my new place. I guess this is what thoughtful friends are all about? So I did a “opening ceremony” for this kitchen new toy. The airfryer is kind of fat and occupies quite abit of space on my kitchen table top. I was pretty surprised using it is EASY! Just two buttons to set, one for temperature and one for duration! It’s really all about trial error because I seriously had no idea what temperature to set for my frozen Japanese Crispy Gyoza nuggets from CP Foods Singapore. I was thinking since the gyoza would have fillings which obviously had been marinated with some bit of oil, there was no need for me to add a single drop of oil. 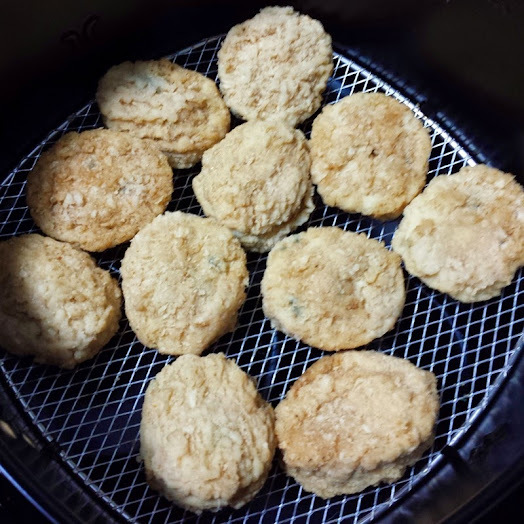 For some food, a tiny bit of oil is recommended even though it is an AIR-fryer. After 10 mins of waiting…. I wasn’t sure if the gyoza nuggets were fully cooked, but the colour looked okay to me. I must had been lucky, they were cooked! They were as crispy as the traditional-fried ones! Smell yummy too! Perhaps a little too dry on the inside. I airfried the 2nd batch for 8 minutes, oops, and the skin was only crispy on one side. Shall try 9 minutes next time! Let the hubby tried the nuggets and he said not bad! Yay! Finally some decent food that I can cooked for my family, though it’s “machine-cooked”. But too much of these fried food is not good for the face. I’ll need proper skincare to protect my face! Ever since Hazel was born, I hardly have the chance to let my face go through the complete skincare regimen that I used to have. 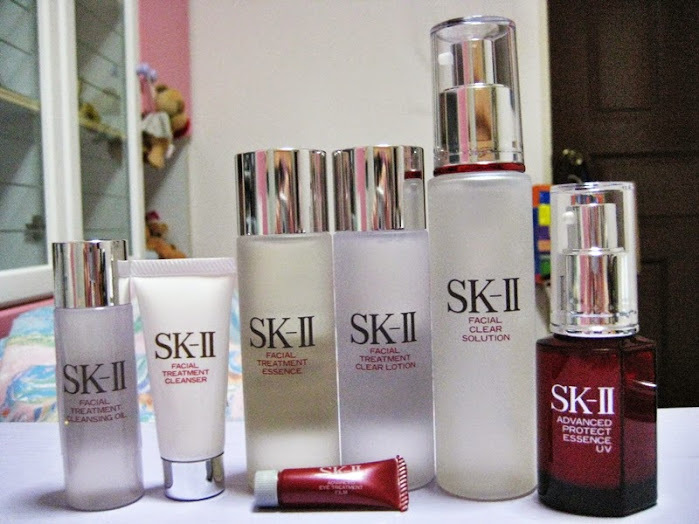 One of my favourite skincare brand is SK-II SIngapore. I used to be a die-hard fan for their whitening and anti-aging range! (Some of the items may not be in production already) But now due to time-constraint, I’m using lesser and lesser than before… sobs at my poor face. My very basic items are essence, moisturizer, sunblock. My favourite will be the essence. I have been using the miracle essence (Facial Treatment Essence) from SK-II since mid 20s and have been loving it! Most people whined to me on the smell. But I’m neutral on that. I am more particular about the absorption and the bouncy cheeks effect. I am also enjoying the radiance I have from using it. My face reacts very well to the Facial Treatment Essence, unlike others who have breakouts from using it. My second favourite essence is the Facial Treatment Repair C! The gel-like texture feels rich on my face, so I usually use less than a full pump. Anyway it’s a small bottle and not cheap, I can’t possible finish it within a month, I will be so broke. If I have the extra time, I will want to add in the whitening range. I used to use their Whitening Souce Derm Definition for my freckles and noticed some visible results, but I think this is no longer in production. They have this Whitening Power Spots Specialist, I didn’t have the chance to try yet, anyway I doubt I have the time to include this step in my super basic skincare regimen. Oh well. Still, shall add this to my wish list. Another important skincare item is the mask! The highly raved Facial Treatment Mask is said to hold loads of miracle essence! I used it a few times when I was younger. The feeling was more than “shiok”. My face got instant brightened up, with a glow! Maybe I should get this for myself on this Mother’s day? Mother’s Day is a more than a PH to us, it is a day just for us and we truly deserve a break on this day, maybe shopping, or something simple (yet hard to have it) like taking a long shower with no one banging on the door rushing us to come out. For me, I want to have a day indulging myself with skincare. Ending this blogpost with a Mother’s day card from Hazel who did it (with help from teachers of course) in school. Perhaps Hazel’s effort came from the leaves of the flower. The leaves look like her fingerprints! The school also prepared a tub of jelly for her to present to me. Sweet ya! The photo of my carrying her (when she’s like 2-3mo) was customized into a fridge magnet by Pixaroll. 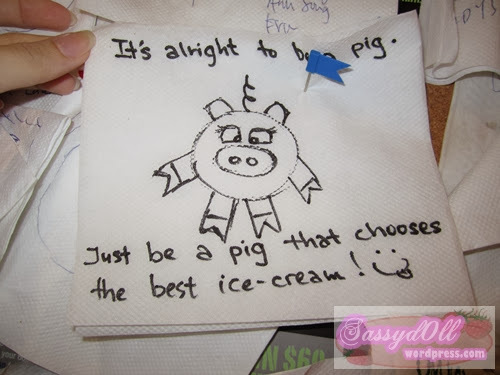 I’m going to put up this card together with the magnet on my fridge! Being pregnant is like serving the National Service. 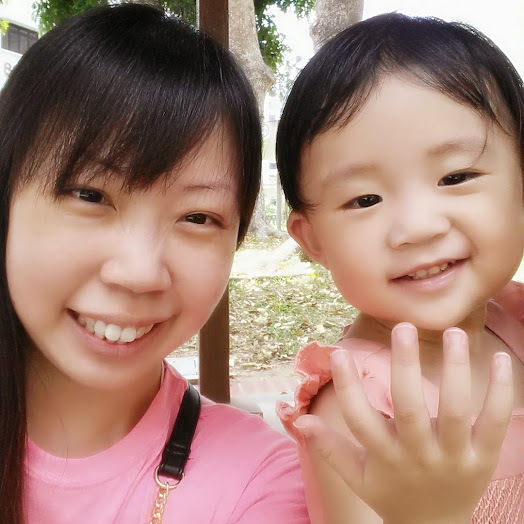 After having the baby bump for 10 months, the mother has to go for reservist. But this reservist is a lifetime kind. Mothers are forever worrying about their children, no matter how old the children are. I am proud to say during my pregnancy 1.5 years ago, I did not suffer from a single sign of stretch mark on my tummy despite there were times my tummy felt itchy and I scratched on it. So what’s the secret to stretch-mark free tummy during pregnancy? Bio-Oil was my main skincare. 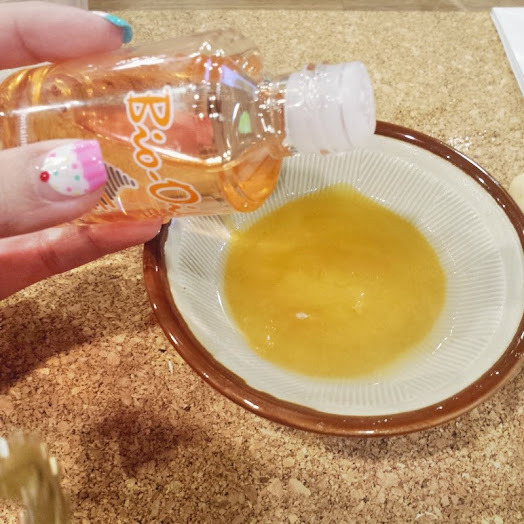 Previously I reviewed (refer to blogpost) how my scar was lightened from using Bio-Oil. That convinced me quite abit, and so I used it again during my pregnancy. I applied it once a night before sleep. That’s all it took. No skin allergy. No discomfort. 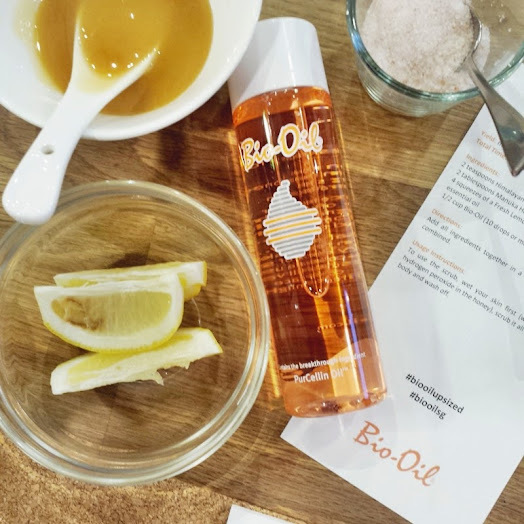 Bio-Oil had reduced the risk of forming stretch marks on my tummy! Yay! My holy grail skincare for pregnancy! I truly appreciate how this small bottle of skincare showed its effectiveness on me. And the good news is, Bio-Oil is now available in a larger sized bottle, 200ml! Let me recap on the key ingredients in Bio-Oil. You’ll probably think, “Huh? so many types of oil, the texture is sure going to be super oily and uncomfortable!”. You’re wrong. One of the plus points from Bio-Oil is, it makes the skin soft and smooth instead of feeling greasy all over. Bio-Oil can be used on baby skin, like during a massage for the new born. One of the main agenda behind the product is to create the special bonding between the parent and child, and not just a skincare product. Any mother who has used the product and learned about its effectiveness, will sure to share with the little ones at home. 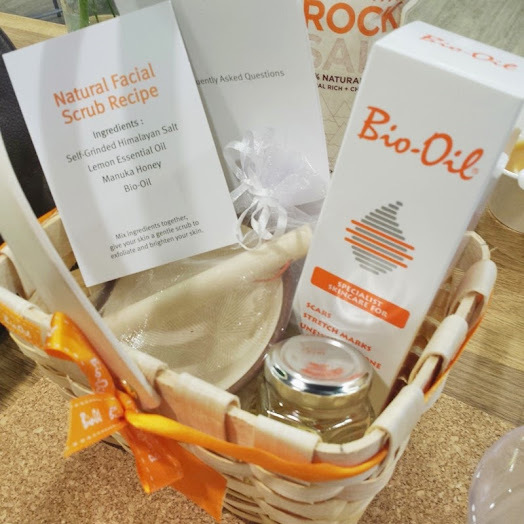 Anyway, when I was at the event introduction launch of the 200ml bottle, I also got my chance to diy a skincare scrub using Bio-Oil with some natural ingredients which are easily found at home or the supermarkets. 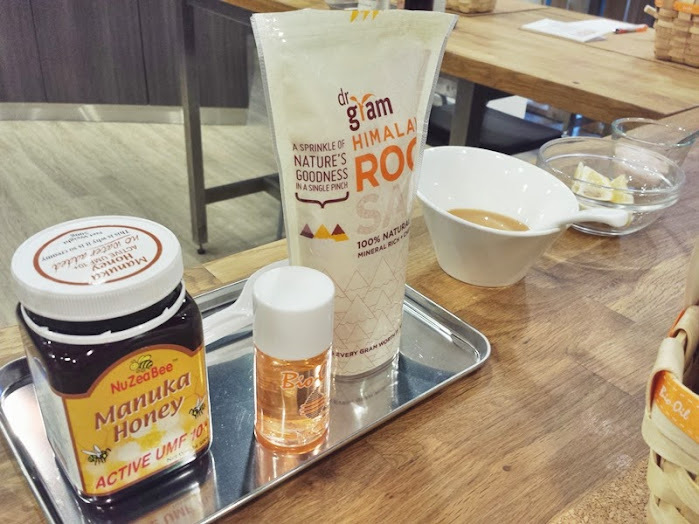 2 table spoons of Manuka Honey. 2 teaspoons of Himalayan Salt (need to self-grind into finer salt). 2 drops of Lemon Essential Oil or 4 squeezes from Fresh Lemon Wedges. Pour everything into a airtight jar, you can easily get one from our local Daiso or Ikea. Storage is easy, keep the jar in a fridge for months and you can use it as and when you need it. 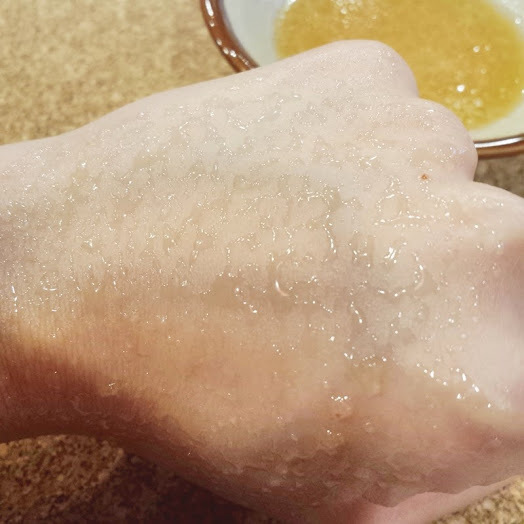 I tried my diy-ed Bio-Oil scrub on my dry hand. Gave the skin a light scrub, rinsed it off, and immediately I saw good results! 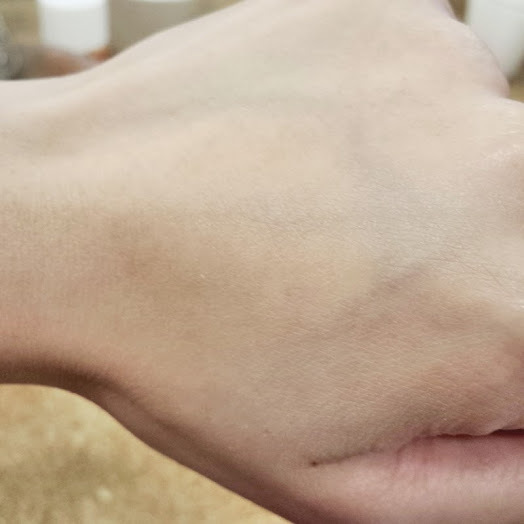 My wrinkled hand looked so much smoother and fairer than before the scrub. It was an awesome evening with Bio-Oil. I’m already thinking to DIY this scrub for my girlfriends for our next special occasion. 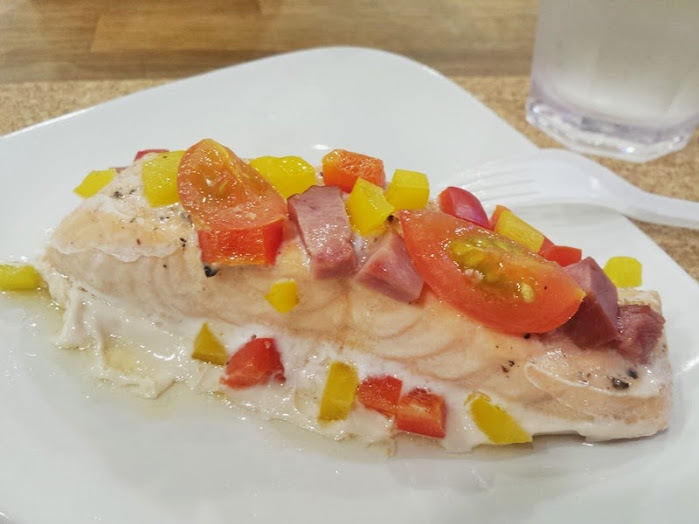 Because the event was held at Cookyn Inc, bloggers and guests also had the chance to learn cooking salmon in the simplest and healthiest way. Shall share the recipe and steps in a separate blogpost. Thanks Bio-Oil, you have been such a terrific product when I was pregnant and I can’t stop sharing my experience with friends. Bio-Oil will be launching its largest sized bottle this coming May 2015. Are you a fan of Watsons? Be thrilled by their eStore that has been launched recently! With Watsons eStore, it simply means you can now shop at Watsons locally at your own convenience! What’s even better is, you get to choose to have your shopping buys to be sent to your home or to be collected at any Watsons stores near you! Awesome right? Anyway I attended Watsons Girls Day Out event held at Nex Atrium on their event first day. It was a blast! 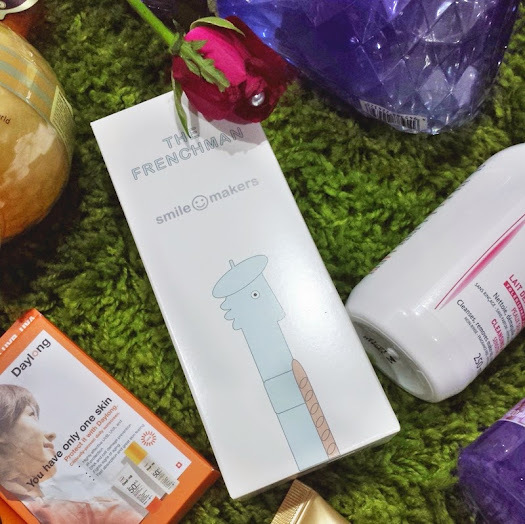 I got the chance to check out the new beauty brands at the bash, had fun-filled activities like free make-up session, photobooths and hands-on of the products! I have tried it before, and I must say the taste is bland. But that’s what 100% pure Bird’s Nest is all about: Rich, Nourish, Bland. 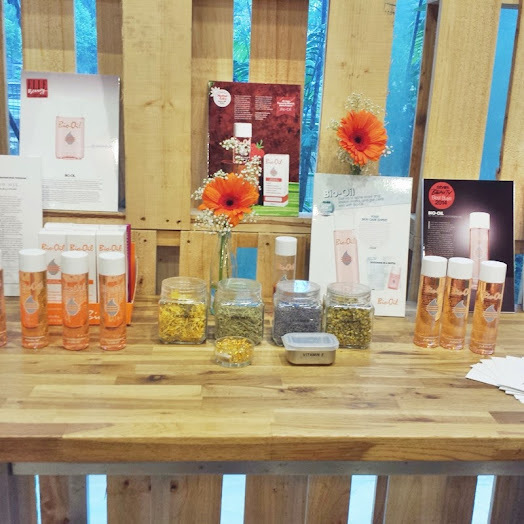 At Watsons Girls Day Out event, there was a small experiment to prove the purity level of bird’s nest from Yu Pin Zhen’s Pure De Yan Bird’s Nest and another Brand, X. Before the test, both brands of bird’s nest were colourless before the experiment. 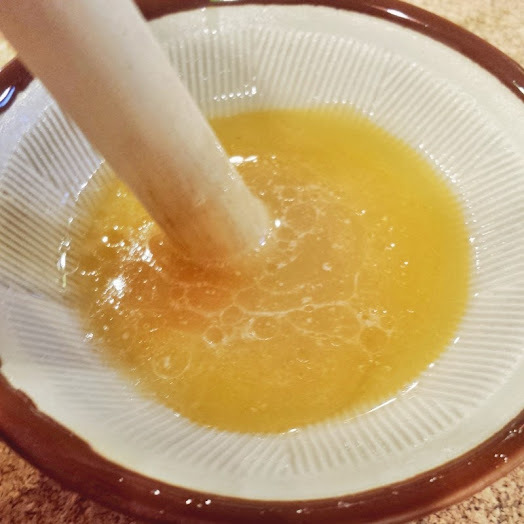 A drop of an unknown solution was added to the bird’s nest to test the purity of bird’s nest. After the mix, both bird’s nest changed colours. 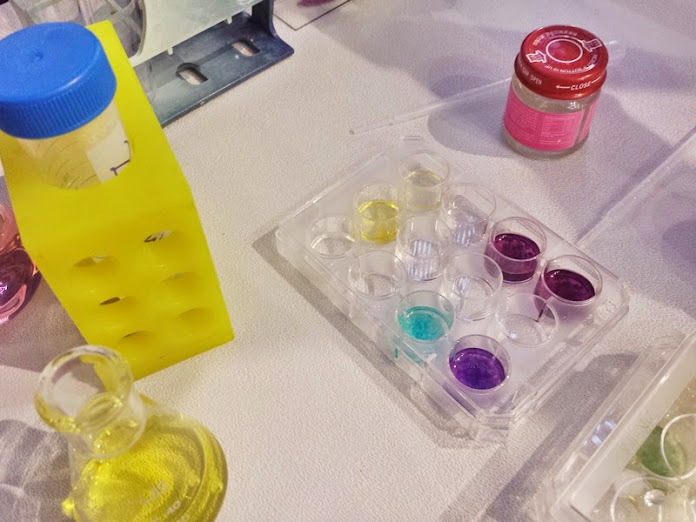 See the aqua and purple solution. 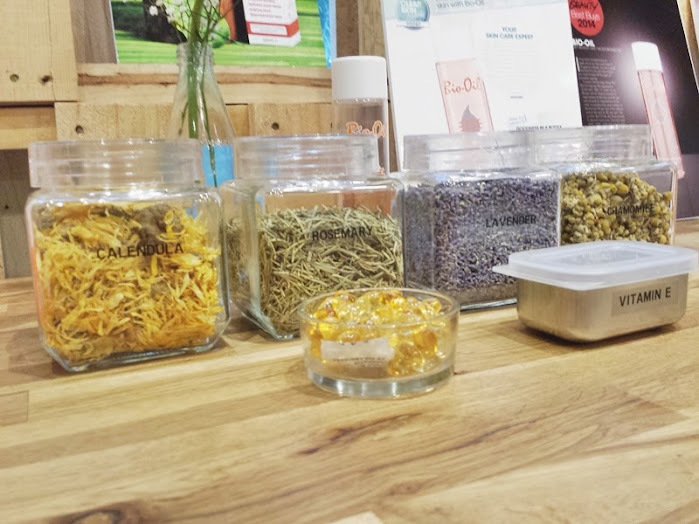 The purple showed that the bird’s nest was not100% pure bird’s nest while aqua solution implied the bird’s nest had very high purity of bird’s nest and that’s Yu Pin Zhen’s Pure De Yan Bird’s Nest! 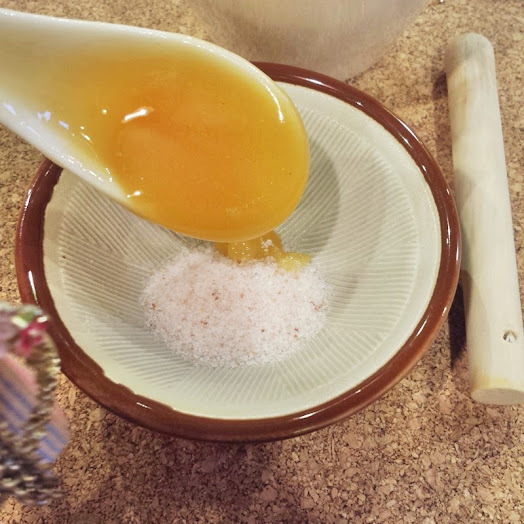 No rock sugar (or any sugar) is added into Yu Pin Zhen’s Pure De Yan Bird’s Nest. One spoon of it gives me the nourishment I need from a few bottles of other brands bird’s nest. 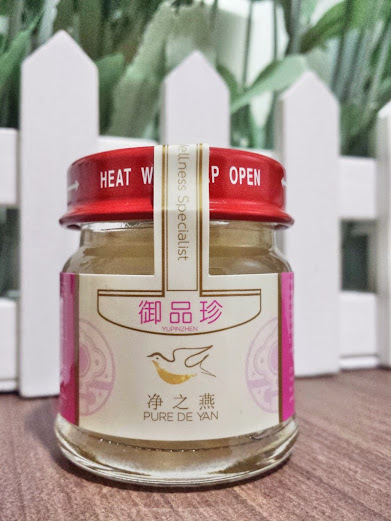 Yu Pin Zhen’s Pure De Yan Bird’s Nest is available in 2 packaging sizes. If bird’s nest is too expensive to be drank often, here’s one more yummy (and more affordable) supplement drink for beauty! 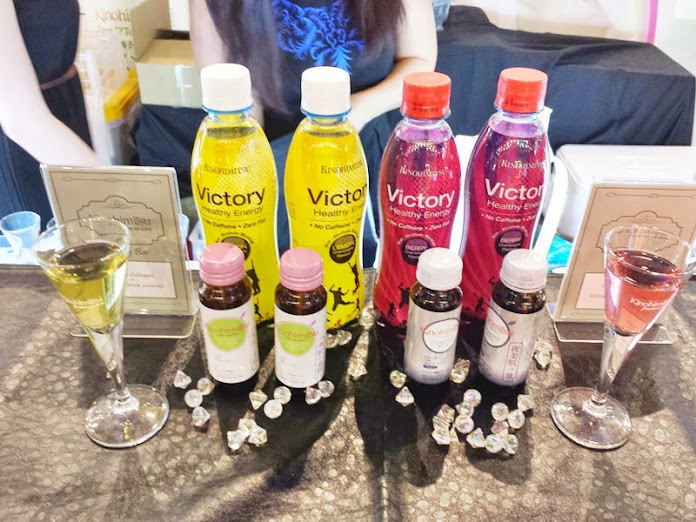 Kinohimitsu BB Drink is beauty drink that helps restore your skin’s natural glow and clarity – not only on the face but the entire body, including the back, hands and legs. But my current favourite from Kinohimitsu is their Collagen Diamond which gave me a soothing sensation. It contains Collagen Peptide which helps in anti-aging, more for starting-to-age skin like mine. Collagen Diamond is the bottled drink on the right my photo above. I’m going to start drinking it regularly! Kinohimitsu BB Drink Value Pack retails at $39.90 for a pack of 6, with 4 complimentary bottles. Read the captions, do you have an idea of what these are? It’s one of the new products that will be coming to out local Watsons real soon.Be thrilled. Be excited. Be shy. I got The Frenchman in my bloggers goodie bag! I still have not figured out on how to use it. The shape is just so weird. Haha! Purposely added one of my wedding photos into the photo above, does it look like some intimate products meant for couple use? More information on Smile Makers in their website. Prolong exposure to the glare light emitted from computer screen, mobile screen can strain our eyes, causing redness, discomfort or even headache. Energeyes Digital Lenses are meant to reduce the emission from digital devices into our eyes by up to 50% and reduce the glare from the screens. The ready-made ones are more for those who have eyesight perfect or wearing lenses. For those who are already wearing glasses, you can’t get the ready-made ones from Watsons. But from what I was told, some optical shops are able to incorporate this kind of lenses into the short-sighted lenses during manufacturing. My colleague custom-made hers, slightly more expensive than the average $200 pairs of glasses. Energeyes Digital Lenses are available in a few colours with different frame-shapes. Anyway, wearing zero-degree glasses is like a fashion these days, no harm getting one pair and use it when you’re on the computer. Time to learn to protect your eyes! Retailing at $67.90 at local Watsons store. Visit www.energeyes-eyewear.com for more information. These are the 4 healthcare products which I love from Watsons Girls Day Out. 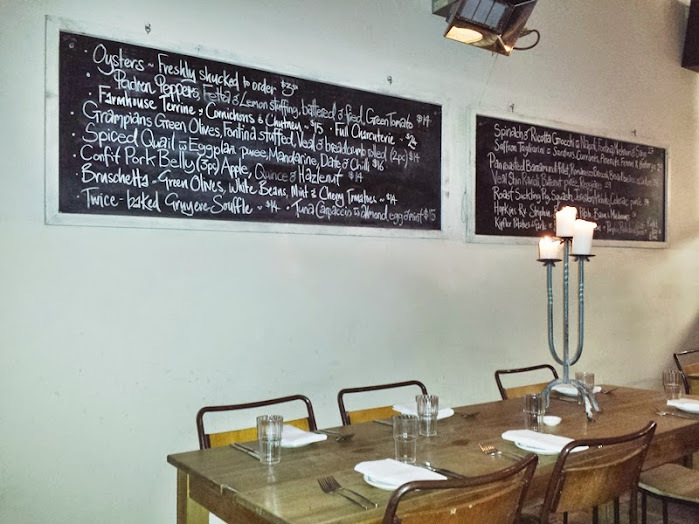 I’ll blog about more loves on subsequent blogposts. You can also check out instagram #WatsonsGDO for more photos! I will also be spamming my instagram (username: sunkisstiffy) with my favourite picks from the goodie bag! Watsons Girls Day Out is still on-going at Nex Shopping Mall Atrium from now till this Sunday, 15th March 2015. Free entry to enjoy the fun and pampering by Watsons! 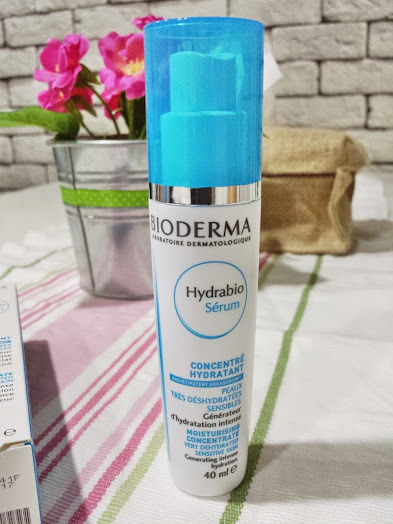 On some days, Bioderma Hydrobio Serum is almost as hydrating as a day moisturizer for my skin, despite it is only a gel-like serum. But this does not give me a reason to skip my moisturizer ya. When I applied on my skin, the spreading of the serum feels like I am applying a moisturizer. It is not exactly as rich as a moisturizer, but quite effective in providing a minimum moisturizing level. The scent is soothing and just nice for my liking. Have to massage longer to ensure serum is fully absorbed into the skin. I know it’s absorbed once my skin feels less greasy. I can’t seem to find any minus point on this product! It’s good enough for me! You can get it from Blackbox.sg! Share with you a short background on #TheNewBlackBox. What will the NEW BlackBox be? – Magazine-style site with Beauty, Fashion and Entertainment editorials from Classic and Luxury brands and video content. -Enhanced sampling subscription experience. Recipients get to pick the items that they want to try. They also have access to purchase Exclusive BlackBoxes. – Members get to review the products they have tried and earn points. 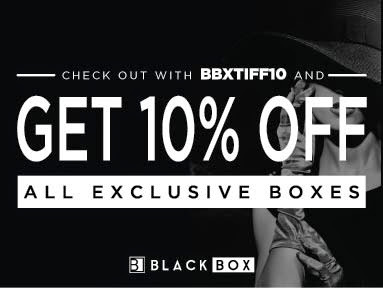 Use my discount code (BBXTIFF10) to enjoy 10% off all exclusive boxes! Stay tuned to what’s coming up! * I have actually received one exclusive blackbox (“Hey Betty, I’m on a vacay!”) last month and am going to share what’s inside within the next 2 weeks! Purchase a sampling Blackbox if you want to try multiple samples ranging from skincare to to haircare. You can see what sampling products Blackbox are having this month here. Have fun receiving your mysterious Blackbox! Hello, I’m back for this dusty blog of mine! 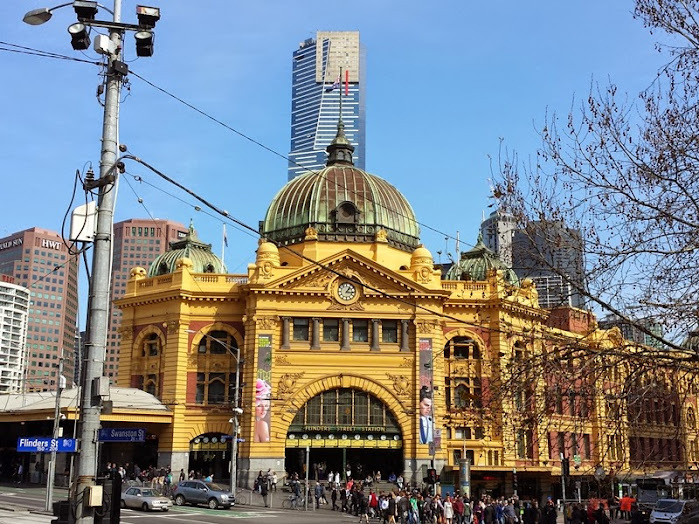 I have been so busy that I can’t even finish blogging about my Melbourne Trip. Shall continue that next time. Received a few sponsorships towards end of 2014 and beginning of this year, shall review the products in the days to come. 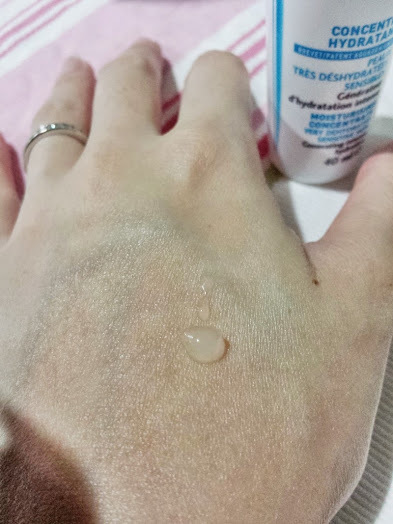 This skin-loving product is showing some positive results on my dry cheeks and I am very impressed an essence like this can save my skin’s drying condition. I like how the gel-like texture essence makes my skin feels silky smooth. The product texture is relatively light and is not greasy at all. I am impressed with how a small amount of the essence is able to brighten up my dull skin. 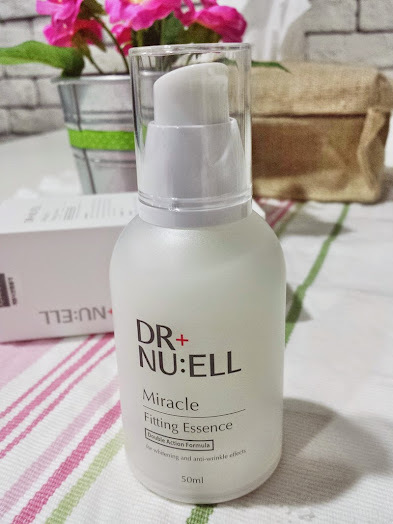 Dr+Nu:ell Miracle Fitting Essence has the ability to firm up the skin because I notice instant less visibility on the fine lines on my face. Even though it is only an essence, it provides relatively good moisture to my skin too. This is the miracle effect! On my late-for-work day, I actually skip my moisturizer just by using this! It is made up of plant stem cell which can really relieve skin stress. So I say this is a must for my skincare routine in the night. It is safe for sensitive skin as it does not contain Paraben, Colourant, Benzophenone, Phenoxyethanol. It will be good if the scent can be lighter. 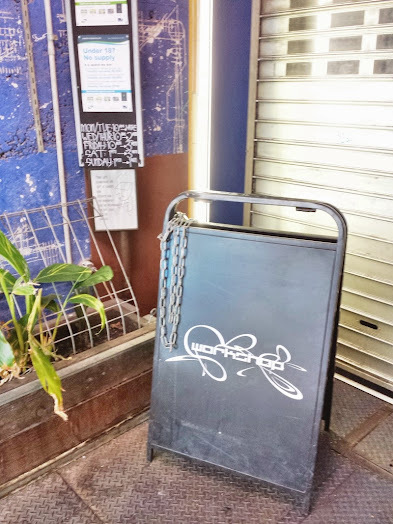 Oh well, I have previously blogged about what Blackbox is all about in 2013. Incase you are not aware, Blackbox has revamped this year. What is the current Black Box? 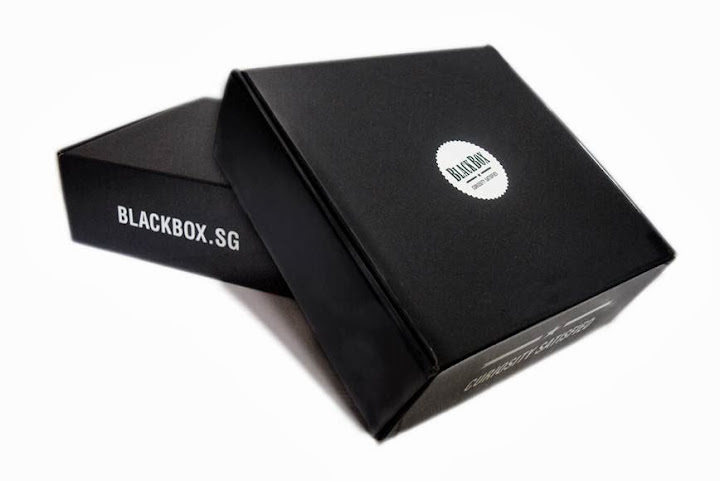 Get this Blackbox if you want to try multiple samples ranging from skincare to to haircare. You can see what sampling products Blackbox are having this month here. Good morning. 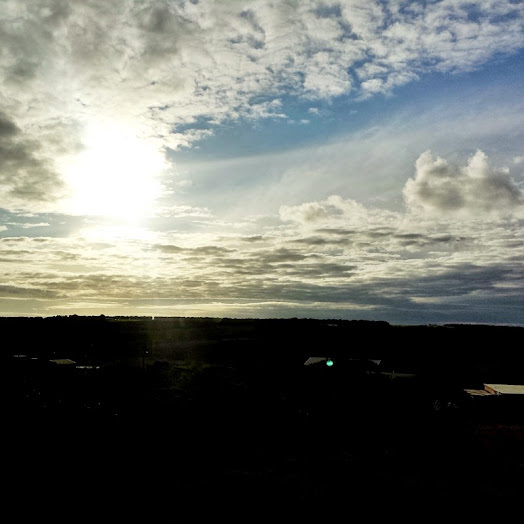 Took a sunrise view from my hotel room. 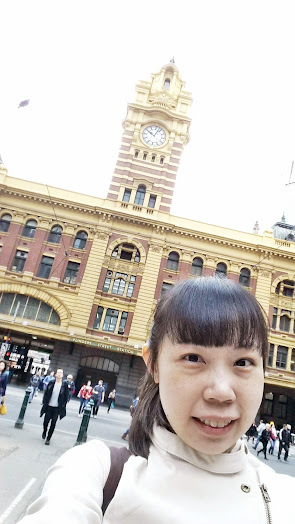 It’s my first day to self-roam at Melbourne, not too bad an experience. 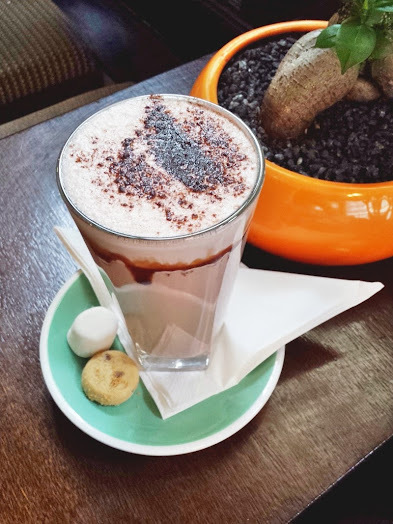 Hot chocolate with Passionfruit tart. 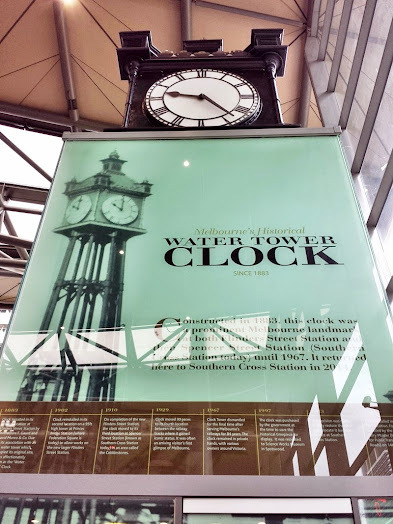 Melbourne’s History Water Clock. Installed since 1883. Original location at Flinders Street Station. Shifted 5 times. Finally fixed here. And I started walking my own tour from here. While navigating around myself, I enjoyed looking at the historical buildings, the fresh air and the chilling weather. Walked a longggggg distance to Flinders Station. Beautiful building! I didn’t want to take the City Circle tram as I wanted to check out the shops along the streets. Took a selfie using my selfie stick so as to capture the tower clock! I didn’t feel shy about taking selfie even though there were passerby looking at me, and at the selfie stick. Seemed to me selfie stick wasn’t common and popular with the Caucasians? Thanks to the sponsorship from selfiesticksg.com. If you are looking for one too, they are now having a buy 3 get 1 free promo, SGD14 each, inclusive of tripod stand and phone bracket. By the time I was done with Flinders St Station, that was like half the CBD perimeter walk, I decided to take the free tram. The free tram wasn’t crowded on a weekday. 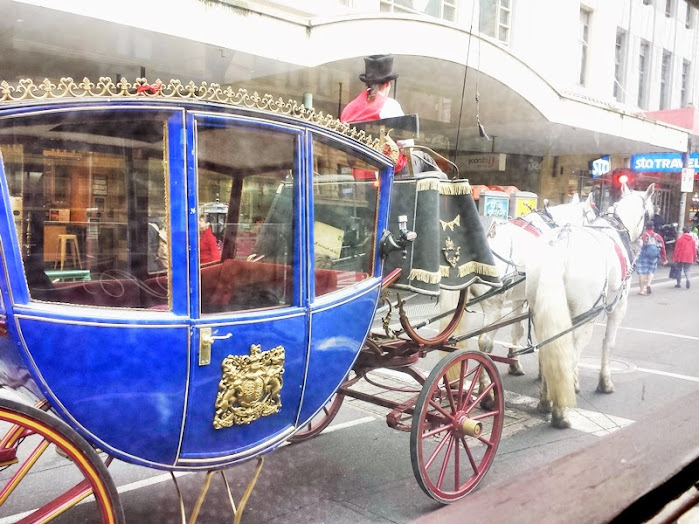 While on the tram, I got to see horse-carriage! Wish I had a chance to sit on it! The City Circle tram travelled around the CBD perimeter, free for all, and I got to passby some magnificent buildings like the Parliament and Winsor Hotel which used to be a favorite for quite a few celebrities. Winsor Hotel, still looking grand from its architure structure. 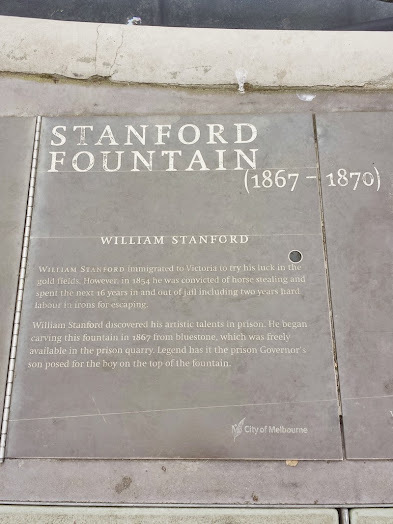 When the tram reached the Parliament place, I realised there were quite a few historical buildings worth checking out, and so I alighted and started my walk again. 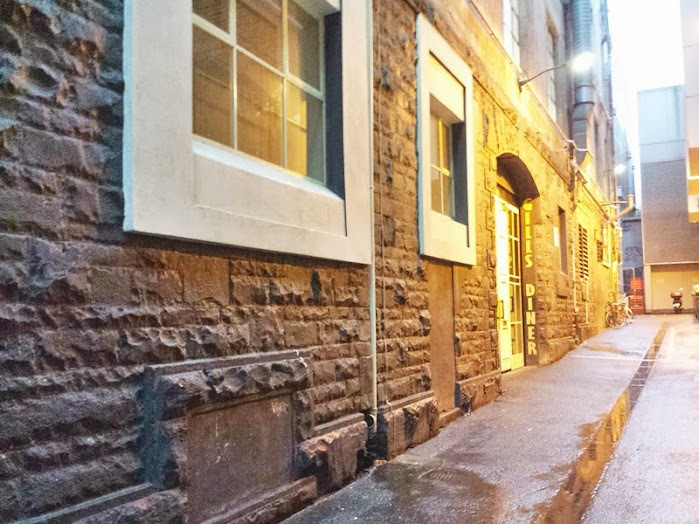 The Old Treasury Building is widely regarded as one of the finest 19th century buildings in Australia. 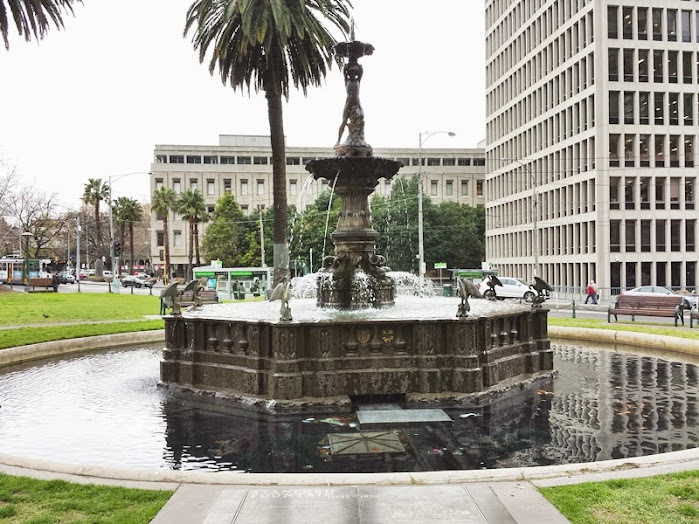 Parliament House in Melbourne, located at Spring Street in East Melbourne at the edge of the Melbourne city centre, has been the seat of the Parliament of Victoria, Australia, since 1855 (except for the years 1901 to 1927, when it was the seat of the Federal Parliament of Australia). Spring Street reminded me of our City Hall and Raffles Place where our historical buildings are in Singapore. I didn’t realize this building until I noticed groups of students were touring there. Took a snap of the withered tree. Kept walking and saw a gothic-looking church from far, and decided to walk towards its direction. And turned out it’s St Patrick’s Cathedral. Quite a well-known cathedral in Melbourne. Made me think of Europe! Ah, I miss Europe! I’m not a Cathlolic but I found peace when I stepped into the church. May peace be with you. Took a last shot of the church architecture before I left. Took the same route from where I came from, it was drizzling, luckily I brought my umbrella. 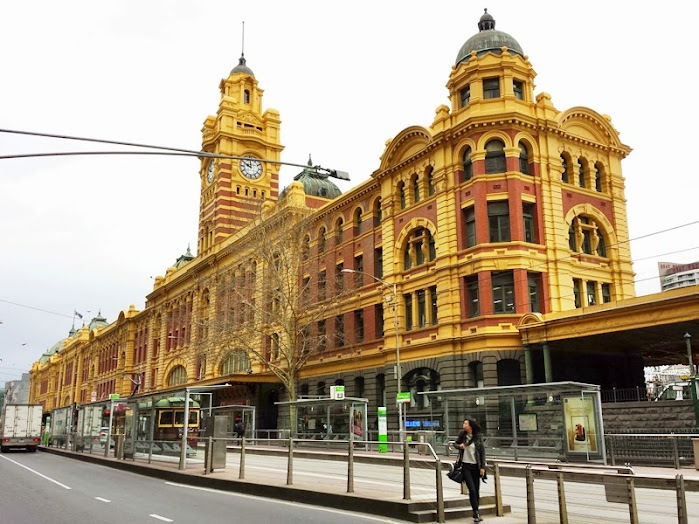 Caught the free tram along Flinders Street and passby St Paul’s Cathedral, another magnificent-looking building. 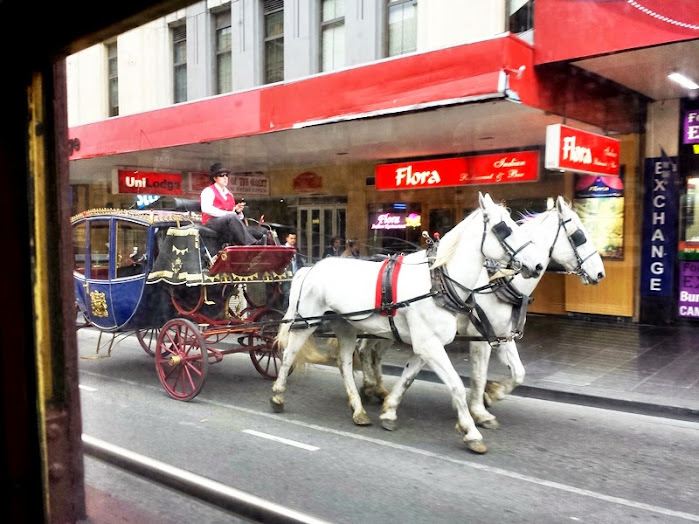 I alighted at Collins/Elizabeth Street to dropby The Block Arcade, and guessed what I saw along the way? It’s Daiso!! It was quite a big store, very much more spacious than SG’s, but there was not more than 10 customers including myself! LOL! 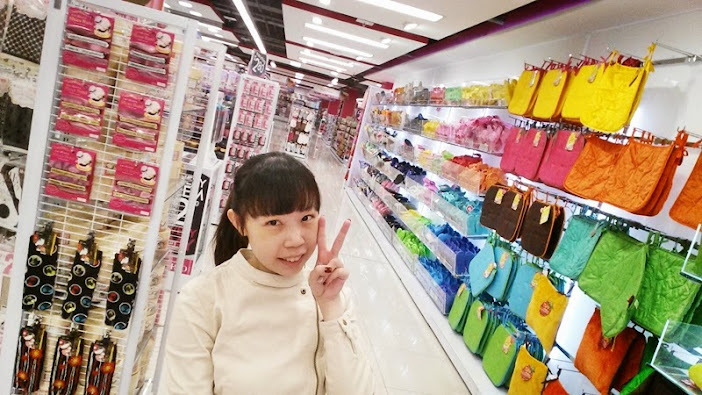 My first time to see a not-crowded Daiso store. It’s so empty than I could even pull out my selfie stick and take a selfie! I didn’t buy anything from Melbourne Daiso, too expensive for me, they had more or less the same things as SG, perhaps a little more variety. More Daiso outlets can be found here. 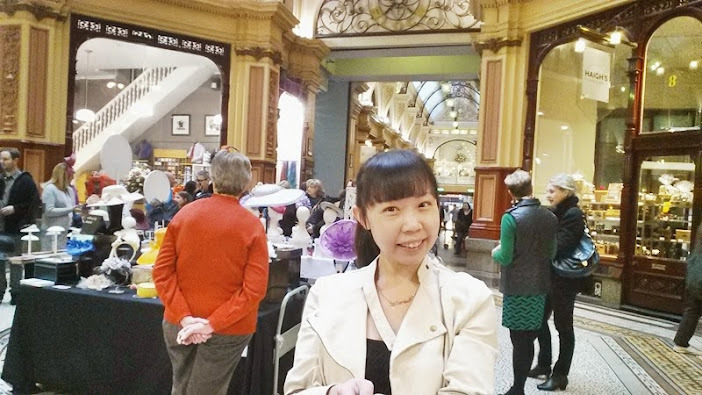 Block Arcade is a heritage shopping arcade in the central business district of Melbourne, Victoria. 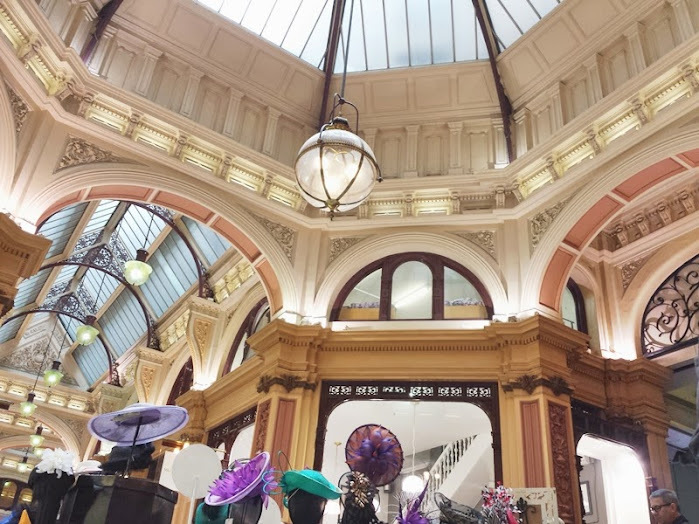 Melbourne’s Golden Mile heritage walk runs through the arcade. I actually wondered is it buildings with the name, arcade, will have those Victorian architecture style? Our SG The Arcade at Raffles Place have similar style, especially the lamps on the wall and the railings. 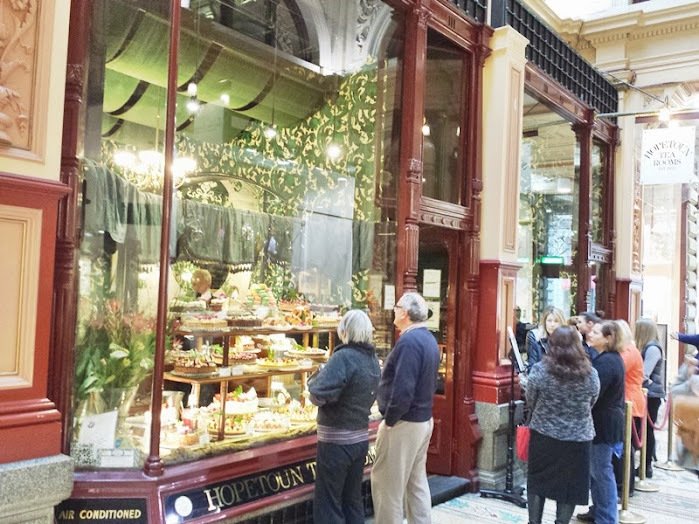 Anyway inside Block Arcade lies a popular tea room, Hopetoun Tearooms. 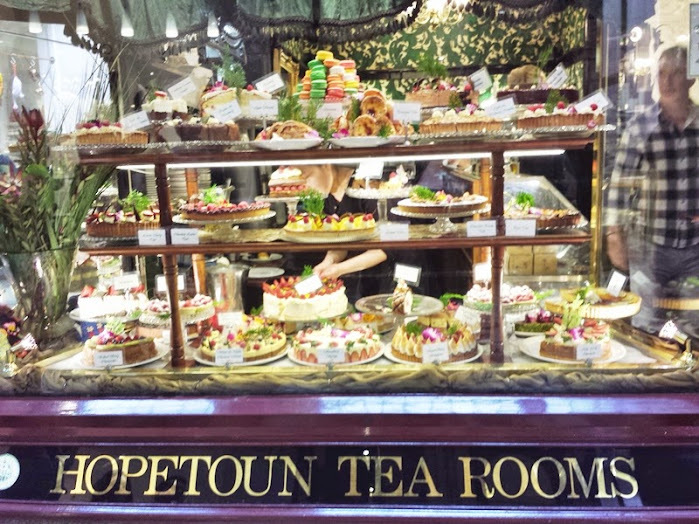 Hopetoun Tea Rooms is my greatest find in this building! 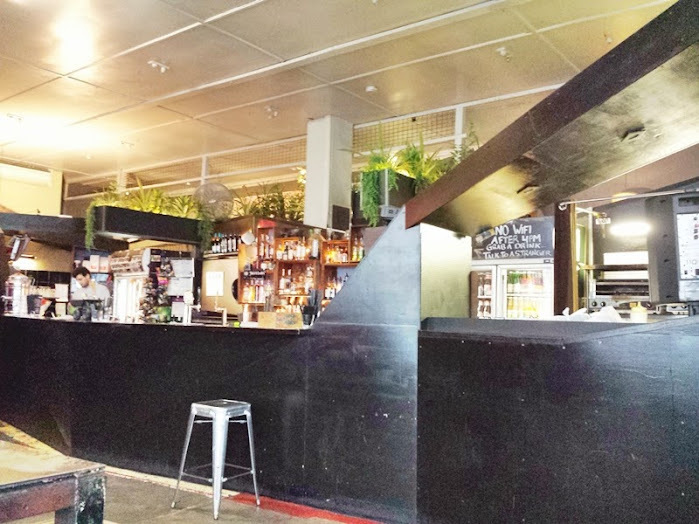 It’s one of the highly popular cafe in Melbourne. It was long queue when I reached, I didn’t want to waste the time, so I decided to leave and bring hubby here during the second last day to try the cakes before returning home. Pardon the blur photo here. Will upload a clearer photo in my Day 6 blogpost! But here’s one more shot on the cakes!! 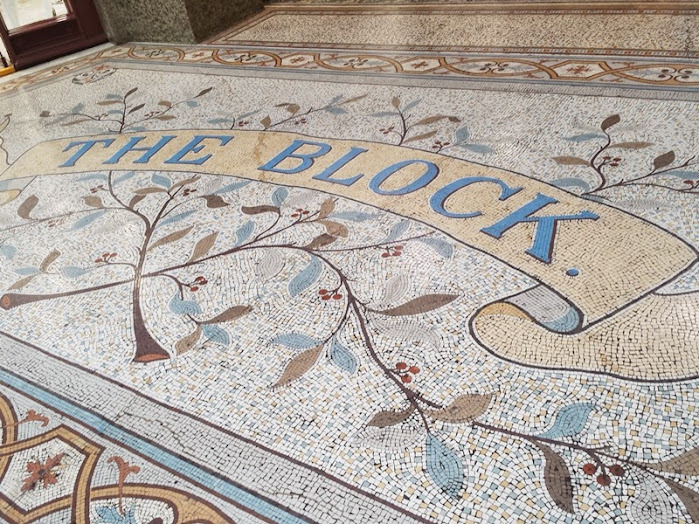 I left the Block Arcade, continued walking towards one of my shortlisted cafe, Workshop along Elizabeth Street. It wasn’t easy to find Workshop cafe. I actually missed it and overshot walking. 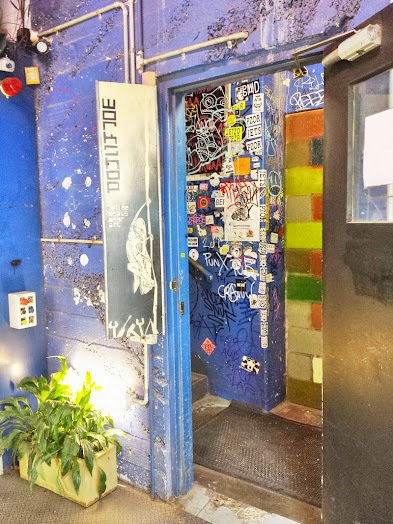 The entrance wasn’t infront of the building but it’s at the side and gota turn in to really see the door. It’s a hidden gem. 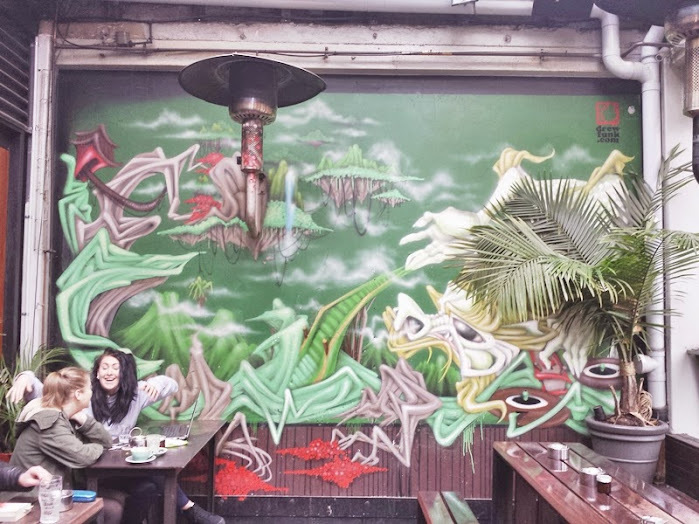 What attracted me to this cafe was to see its graffiti. To my disappointment, there wasn’t any graffiti except a wall at the rooftop area. 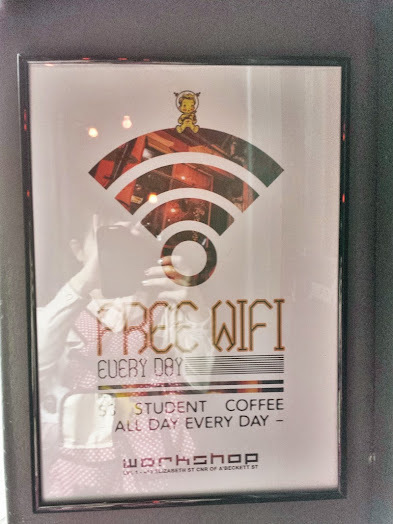 I guessed the cafe had repainted recently. 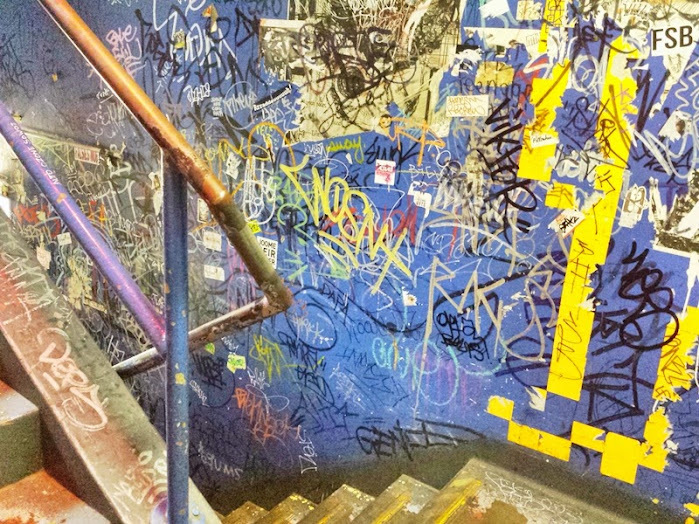 Only the staircase up to the cafe had what I called vandalism. 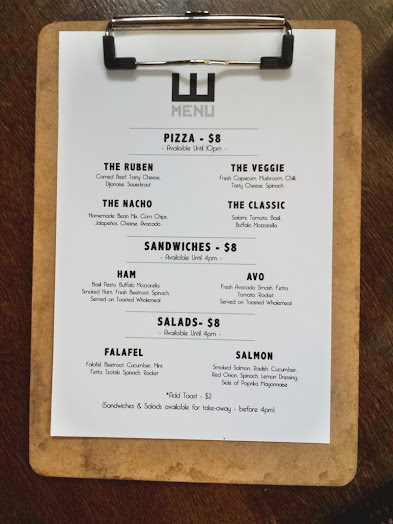 I was very disappointed with the miserable menu. I ended up eating greens. Oh well, a healthy meal once in awhile won’t kill me. I believe the cafe has been reformed into a bar for chillax. This was the only graffiti I saw. 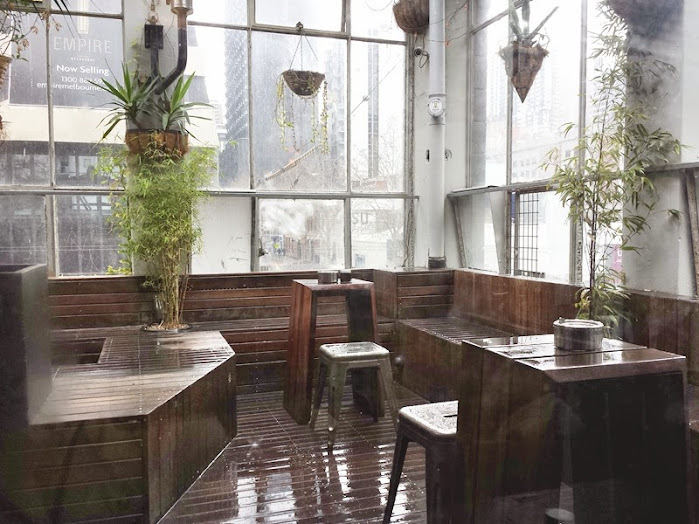 The Australians were pretty enjoying the cold weather, the “free aircon” by having beer on a rainy afternoon! I was very cold and as usual, ordered hot choc. Gosh, this was by far the largest glass of hot chocolate I ever had. And it’s very thick and “solid” (in Singlish)! 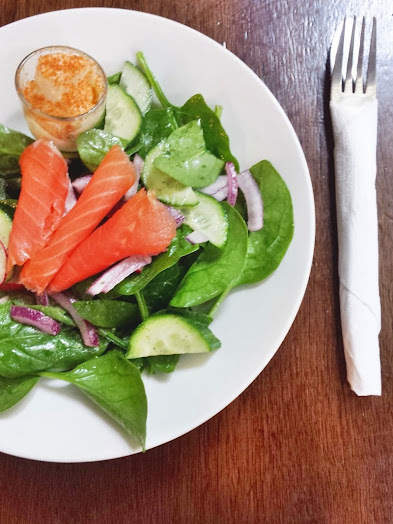 Smoked Salmon salad. The greens look dull to me, only one kind of leaf?? But hey, the salad tasted fresh and tasty, especially the spiciness from the fresh onion rings! I’m not a fan of salad, so when I say it’s nice, it is really nice! Ok lah, though the menu was disappointing, the food compensated for it. Went for some shopping at Bourke Street before heading to another cafe for dinner, alone. 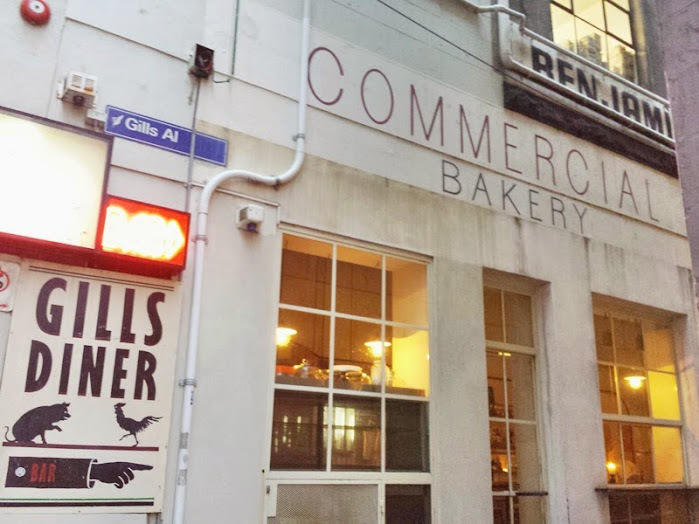 Commercial Bakery, the place where I had my most expensive dinner, but worth it lah, since it’s only once here. It’s quite a spacious cafe and restaurant. When I reached at about 7.45am, the cafe section was already closed, while the dining area was opened. It was raining heavily outside, and so I took a long dinner enjoying my food while waiting for the rain to stop (though it didn’t stop). I had Pan Roasted Barramundi fillet, the most tastiest fillet I’ve tried. Service was excellent here. I was served with complimentary water and bread. The bread, so soft! The only regret I had was I didn’t have the chance to go back for their breakfast. And I returned to my hotel walking all the way from Lt Collins St to Southern Cross station at Spencer St. It was a very cold evening to end my day.